Rev. Julia Fritts McWilliams has been such a gift to us this summer! Did you miss any of her beautiful sermons? Her words from this past Sunday are below, but don’t miss What Sign Will You Give Us? and God is in the Midst of Even This. 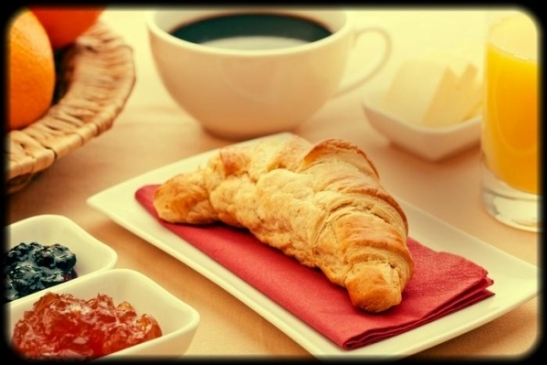 Good morning, sweet friends here at St. David of Wales! Or, as my little neighbor says, “St. David of the Whales.” “I want to go there!,” she says – “I love whales too!” There’s so much love here, my new-old friends, and it has been a privilege to serve with you a bit this summer. You may know this already, or you may not: what you all are doing here at St. David’s is very important. You’re helping people to discover that church is alive; that church is a relevant and beautiful thing. That being in relationship with God matters. That offering beautiful worship fills our souls. That being nourished by the Word and the Bread of Christ strengthens us, readies us, to be Godbearers out into a wary world. Serving the diocese of Western Oregon as I do, I see how urgently needed this is. I commend you, and I thank God for you. Jesus was so corporeal, wasn’t he? Fully incarnate, fully flesh. What more earthy gift could there be than to give his body and blood as our food and our drink. Jesus was certainly never one to go small, was he – giving himself so fully like this, for the sake of the whole world: Bread of heaven, to earth come down. And as mysterious and hard as it may be to think of our Lord as body and blood, bread and wine; even with the cosmically wide scope of his Presence with us, and in us, in the Eucharistic Feast, Jesus reminds us that he is also the basic stuff of life, our simple bread, our everyday sustenance. 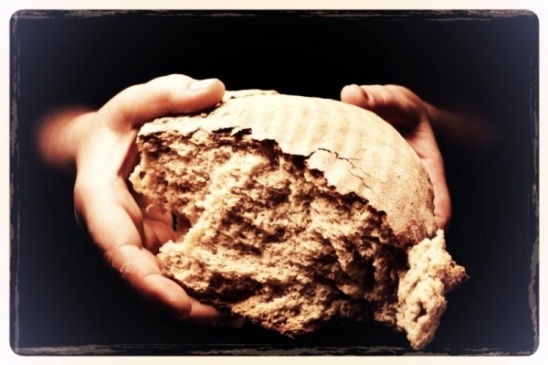 Bread has an important place throughout Jesus’ ministry, doesn’t it. I’m reminded of its place in the Lord’s Prayer. Teaching his disciples how to pray, he said, “Give us this day our daily bread.” Not “give us enough for the season, or for the year, or for a lifetime.” Not “give us this day a feast of riches”…Jesus said, “give us the nourishment we need to get through this day.” Just enough, for this day. In the Aramaic text from the Peshitta text of the second century (1), we find real beauty in the words of his prayer. “Hawvlan lachma d’sunquanan yaomana:” Give us bread for our needs this day. Give us lachma, which means both bread, and understanding. Lachma, the root of the word Hachma that we heard today in Proverbs, meaning Holy Wisdom, and later translated as Sophia in the Greek. Give us bread, give us understanding, give us wisdom – enough to suffice for this day: enough wisdom for just today’s step: d’sunquanan yaomana. Isn’t that the hardest part, really – the next step? We pray, “God of the cosmos, with-me on earth, help me: give me the wisdom to know how to take just the next step in front of me.” This seems like a particularly relevant prayer for all of us heading into – I hesitate to say it – Autumn. Yes, we’re full on in the heat of this long-awaited late summer, but we all see the signs of the coming season. Even as I write this sermon I hear the University marching band practicing for the first time. Autumn is coming – a time for new beginnings, next steps – and with it comes a return of a certain pace, greater unknown, paths ahead that may require big steps. But there I go again, as we all tend to do – running off into the future, thinking about the next step and the next step after that, and which way to go…when Jesus teaches us to come back to the present. Give us the nourishment and the wisdom to be in the present; to take the step in front of us on this day. As every great spiritual tradition teaches, the practice of being in the present is always the goal. Come back to the present: release the past; trust God with the future. Give us what we need for this day…for this day is all we really have. Jesus, our teacher, has said this before. Do you remember in his sermon on the Mount when Jesus said, “Blessed are the poor in ____?” Spirit. The poor in spirit…a phrase that confused me for a long time. But again, the ancient languages give us the key. The word he used for “spirit” is best translated as “breath”: Pneuma in Greek, Ruach in Hebrew, Shekina in Aramaic…the breath. The one thing, the only thing, that we really have in the present moment: this breath. Blessed are they who know that the only thing they really have is this present breath. Blessed are those who live in the present, who cherish this day. Give us, this day, our daily breath. We as Christians are so blessed to know him. Not everyone does. We as Christians have this beautiful gift of the Eucharist to receive him: to feel his presence abiding in us. But with it comes the responsibility to be his Body in the world: as Mother Theresa said, we are the only hands and feet he has now. And so we are to feed each other. Whether it’s here at the altar or out in the classroom, the studio, the office, the neighborhood – we are to feed one another, and bear his Holy Presence out into the world. (1) Syriac Aramaic manuscript of the Gospels known as the Peshitta version, thought to have been written in the2nd century AD. Prepared by Rev. G.H.Gwilliam, published in 1901 by Clarendon Press. Thank you to Rev. Julia A. Fritts McWilliams for preaching these words with us on August 5, 2012. Good morning, my friends, and happy summer! It’s full on summer now, isn’t it – finally! A time for refreshment, for refilling our depleted reserves. Mother Sara is away doing just that, and gave me this honor of serving and worshiping with you again today. We come together to find rest, and renewal; solace, and strengthening; courage, and reassurance. We come together to refill those empty places that the world would drain away: We come to be filled, and fed. Maybe this is the question that lies deep in the heart of things: can we believe? Jesus tells us today that our work is to believe: he says, “This is the work of God, that you believe in him whom he has sent.” We are to believe in God, and believe in Jesus. But sometimes that’s very hard: we are creatures of intellect, and reason, and doubt; and life on earth is a devastating business sometimes. It can be very hard to believe that a loving God is at work in the world when suffering is all around. It brings us face to face with our old friend, “The Big Question.” Remember that? We explored it a few weeks ago: if God is real, then why is there so much suffering that we cry out for signs at all? Some would say that suffering is a sign of God’s unreality, of God’s absence. Some would say that suffering simply integral to finite mortal life. I am persuaded that all of our troubles – sadness, worry, grief, fear, anger, doubt, pain – all these things are part of mortal life, not a sign that something is broken. Suffering is inherent in being human. And isn’t that why Jesus came? To be with us in the midst of the suffering. To be the bread of life to sustain us, the cup of grace to remind us of his presence. To be the sign for us of larger life, proof of his love, all around us – no matter how many times we fall into unbelief. Jesus understands us in all our brokenness – in our unbelief, in our hard-headedness – and beckons us to grow in belief that, although we may not see exactly the sign we’ve set our hearts on, God’s signs are there, all around. So come, believe; find the signs of his presence in you, and among you. He is the Bread of life; he is the Cup of grace. Come; be filled and replenished: become what you receive*: the Body of Christ, given for the world. Many thanks, James Joiner, for this fine sermon!